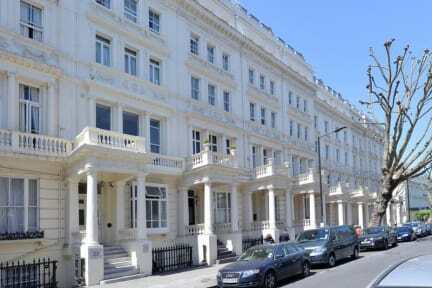 Gallery Hyde Park, Londyn, Anglia : Rezerwuj teraz! Gallery Hyde Park is a vibrant accommodation for young travellers over the age of 18 based in a refurbished Victorian building on a stunning terraced street. Centrally located in the heart of London, we pride ourselves on offering a fantastic atmosphere, a brilliant customer service experience and ever-improving facilities. Whatever you’re set on accomplishing in London, Gallery Hyde Park is the place to be as you tick things off the bucket list. As part of our continued commitment to enhance our property and services, the renovation of some dorms will take place between 26th February and 18th March. The works will always be carried out taking into consideration the guests present in the property, keeping inconveniences and noise to a minimum. Nonetheless, the construction might occasionally be noisy during certain hours in the daytime. We sincerely apologize in advance for any inconveniences that may occur during this time, and we thank all of our guests for their understanding and cooperation. If you have any questions or concerns, you are more than welcome to contact us by phone or email. We endeavour to reply to every query with haste. Dziękuję bardzo za pobyt, pokoje czyste, obsługa miła, położenie super. Warty polecenia. Pozdrawiam. Good place to stay, specially that staff is laid back and vey pleasant.